Chaem Han is a 40-year-old father of three living in Kampong Chhnang Province, Cambodia. Unfortunately, Chaem was forced to drop out of school during grade six. This was because of a deteriorating family and financial situation and he started to work as a labourer building houses. 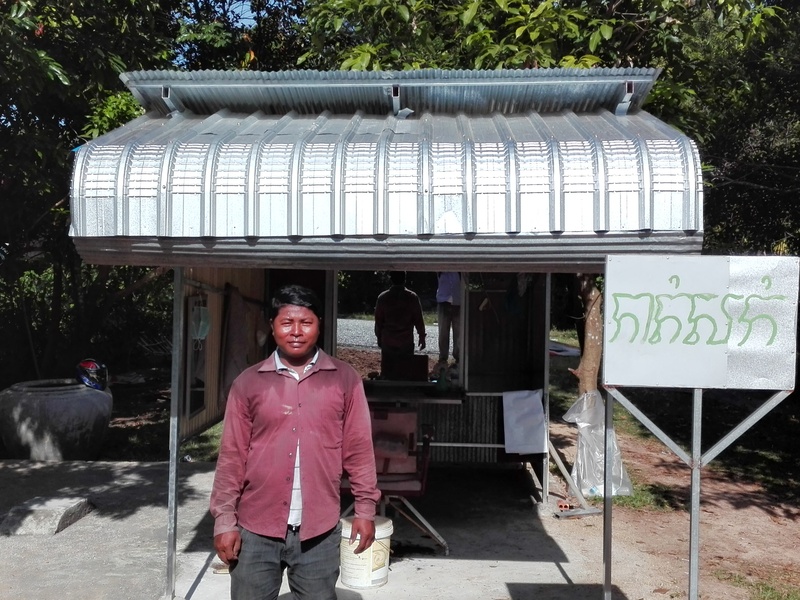 Chaem has continued this work intermittently while farming rice and after he met his wife and started a family he decided to start a business. Chaem’s business, a barbershop, began in an old hut and was not initially doing well. This was until in 2018 when Chaem was selected to participate in and gain support and training from Cufa’s LEED program. Since his involvement in the program began, he has attended capacity building training, micro-enterprise training and received consultations to improve his business. 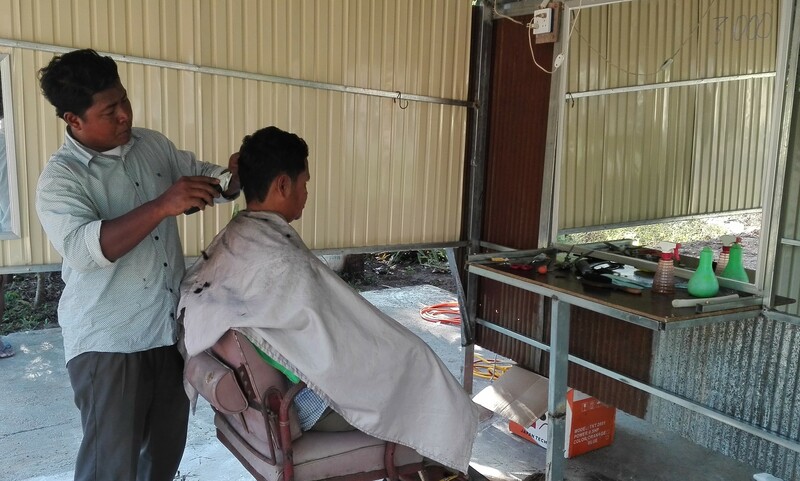 After developing a business plan with the help of Cufa staff, Chaem was trained on market strategy and provided materials and equipment for his barbershop. Chaem has set his prices at 2500 riels ($0.88) for children and 3000 riels ($1.05) for adults. His customers have been coming from both inside his village and from surrounding villages. His success has been steadily increasing from two to three customers up to six a day now. In addition, using the business skills Chaem has picked up from the program he has recently opened a second business cleaning motorbikes. This can earn him up to 10,000 riels a day on top of what he earns as a barber and he has been using the budgeting skills he learnt from the program to better care for his family finances. As his business has increased his income and improved his living conditions his neighbours have been asking him about his business success and where to learn the necessary skills. Chaem is now full of confidence after learning life-changing skills in the program and is looking at building another, larger business in the future – a grocery store. Learn more about how our LEED program is supporting rural business development across multiple provinces in Cambodia.